First Build! $450 Budget Gaming PC! I use this machine for gaming. I've played, Witcher 3, H1Z1, CS:GO, and a few other titles, and I'm very pleased with it. Getting above 40fps on Ultra preset, this is for sure a nice build for the price. It's worked well so far, the GPU runs really hot if I don't have the side panel open though (I'm in the process of ordering a 120mm fan and a 92mm fan) because there isn't enough airflow for it. On idle it runs fine while closed, but on load closed, GPU hits 90c! When I open it up it averages around 75-80c which is much better! CPU on load never really goes about 63c with stock cooler. Overall, I'm very happy with this build, only thing I need now is, keyboard, mouse, and moniter! Also tell me your opinions on cable management, I tried my best, but there really isn't to much room for it. Thanks! Good processor for the price, can't really beat it! Simple motherboard, just look at manual if you have any problems. And there is a USB 3.0 front panel connector, it just makes your USB 3.0 turn into a 2.0 though. Solid HDD for the money and reliably of it, can't beat it. This card runs a bit hot, and comes in a cardboard box. But other than that runs like it should and for the price of a R9 380, can't beat it. Wish there was cable management, but otherwise a gret case for $30 no shipping! 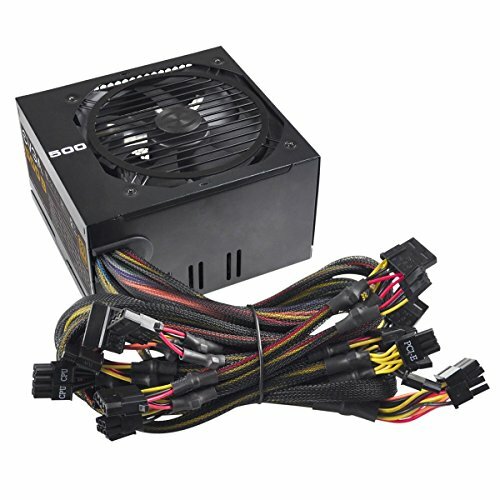 Solid PSU for money, recommend! PERFECT. JUST PERFECT. VERY CHEAP, ALL GREAT PARTS. The only part that I would change out of everything, is the CPU. But my budget was 450 flat. The 860k works like a charm though, even from what I do in gaming and everything, it never goes on 100%. Love it. That CPU is very worth it, don't change it. I'm saying if I had say a $500 budget, I would go with something like a 8350 which would outperform it by a long run. But like you said, the CPU is great, and I do like the choice of it. If I had $500 I'd buy skylake. But 860k is still nice. Once you have your case cooling solved, I recommend you grab an aftermarket cpu cooler plenty of recommendations in this forum as well as others (I.e evo212+ or equivalent) and eak out some more performance from that chip. Also, Radeon crimson is a pretty decent tool to OC your gpu. With a R9 380 I had it made a difference between quality settings for a given fps. Sadly, the 212 is compatible with my case. But I was either looking at a TX3 or a CRYORIG H7. And I'm not to sure if my motherboard will be good for overclocking, will do some research. An i3 would have been a much better call than an 8350, but as long as you are happy, that is what matters. FWIW I never recommend the 860k. Nahh, get's beat by a Pentium in most games and has no upgrade path. Nope, look at some benchmarks. Yeah I have. The g4400 wins. Plus it has a real upgrade path. The 860k has no L3 cache and therefore falls short on game performance. With an L3 cache it would be an awesome performer, but sadly it isn't. Does the MOBO support OCing? If you want anymore pictures, let me know of what! Can you post a pic of your monitor with benchmark scores? I'm thinking about getting the 860k for a build. Thanks! Just added a new picture of what my setup looks like now, I took of the dumb slider thing on the bottom, and now have everything on the top, much cleaner and more room for me. Love your setup. I was looking for a gaming PC myself that didn't break the bank. I'm going to end up with something very similar. Cool! Thanks! And make a build log like myself so we can all see it! That's what I call best bang for the buck. Nice work! Thanks! Took me over a month to find something for a nice cheap price but performs really well. I have the opposite issue where the 860k is running really hot at idle, but the 750ti barely hits 38. I'll admit the cpu cooler was a pain in the *** to install, but it's more likely the thermal paste. 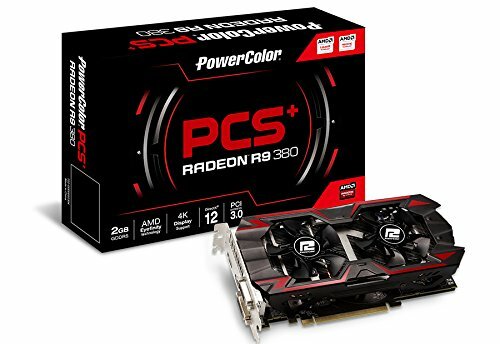 This is amazing for the price- but after looking up the Powercolor, I understand. The fans on that cooler are awful. Well, in general, even a XFX R9 380, will still run at the same temps, all the R9 series cards run at hot temps :P. But for OCing it, its not to good for that. Thanks! I really tried to get the most out of price to performance. I was planning on getting a 750ti for $100, but for $50 more you can get a R9 380 that blows it out of the park, I went with it for sure. What monitor would you recommend? I'm just looking for a 1080p 60hz moniter. Do you have any monitors at your house? And what size would you like it to be? This build might be old but +1 for budget! My suggestions would be to invest in some more fans to keep it from hitting 90C (Ouch!) and upgrade the monitor whenever you get a chance! But the rest of the build is really good! You made the wrong choices with your budget soz man but at least you enjoy it right? Thanks! I'm just keeping the side panel open for the time, keeps the airflow a lot better and cools it down. Until I get those darn fans!